Need litigation support from true legal professionals? Last-minute deposition? Real-time depositions? Online repository? At Northwestern Court Reporters, we’ve been partnering with attorneys, law firms and paralegals for decades. You can count on our experienced and accredited team to deliver on time with accurate, fast, professional litigation support. Our professional team provides prompt service, including same-day transcript delivery, and deposition service on zero notice. We are a firm dedicated to accurate keeping of the record and knowledge of our role in justice. Complimentary conference rooms, online repository, case management … we tailor our service to you. 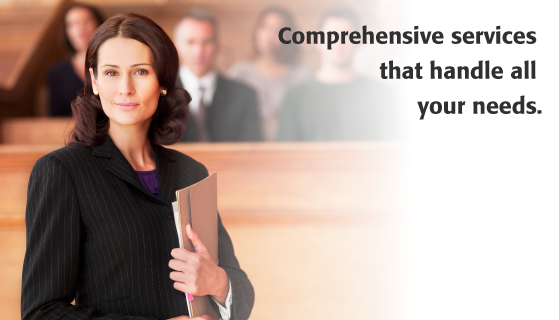 For more information on our superb litigation support services, call us at (800) 628-7551.